Remembering the Book Launch in October 2016 when so many different talents and contributions from others made it a wonderful day. I can’t say a big enough thank you to everyone who helped make the launch of Elin’s Air a success. There were so many people willing to share their talents to make it a great event. I loved it. Thank you to Festival Church for hosting and providing such a perfect venue. My thanks to all those behind the scenes who have incredible technical skills and managed the sound, t he lights and the screens. Also thank you to the wonderful drama team for all the time and energy that they put into creating a wonderfully dramatic depiction of a scene from the book. You were amazing! Special thanks to the cake maker who made a genuine simnel cake which has been much enjoyed since! Thank you, too, to Welsh composer Tim Rowlands for his beautiful new piano composition “Elin’s Air” inspired by the landscape of the Lleyn Peninsula, and named after the book. Welsh Assembly Member, Darren Millar, was an absolute star drawing the winner of the competition run by Hillman Publishing, sharing his response to reading Elin’s Air, his own discovery of gold and informing us of the work of the Evan Roberts Institute. We also had the talented Morgan Hebner, who painted the cover of Elin’s Air, with us, sharing some of her other work. I’m so grateful for her lovely servant heart and time she gave to be there. She really brings something beautiful with her. I was really encouraged by those who came to join in celebrating the release of the book, especially those who travelled so far to be there. Thank you!! It was great to have The Festival Coffee Shop open, even though it hasn’t been open long and to sample the wonderful Heartland Coffee that comes from a roastery in North Wales. My thanks to staff of Festival Coffee for being willing to serve so many while it is still early days for the coffee shop, and to do it in costume too! Amazing! I also have to express huge gratitude to videographer, Joel Parry for all his hard work filming and editing in preparation for the event and then also being willing to film the day itself. He is incredible! 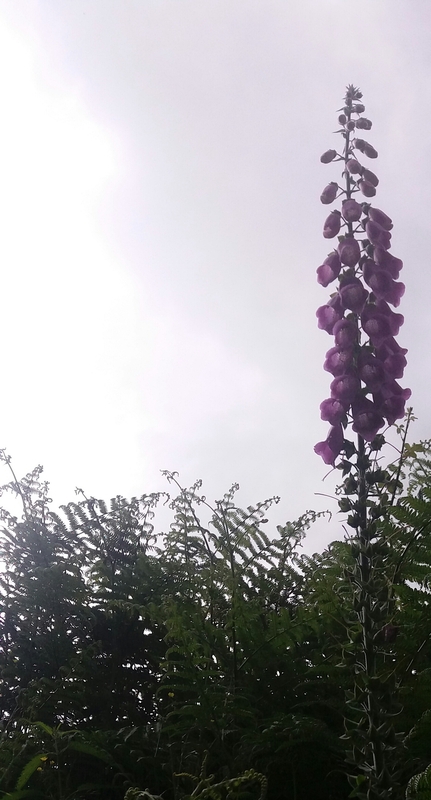 Photos of the day are the handiwork of my son, Josiah, whom we have discovered has inherited a portion of the photographic gene that originated in the Chester branch of my mother’s family. But the biggest thank you of all must go to Hillman Publishing for making a dream a reality and helping to birth Elin’s Air! 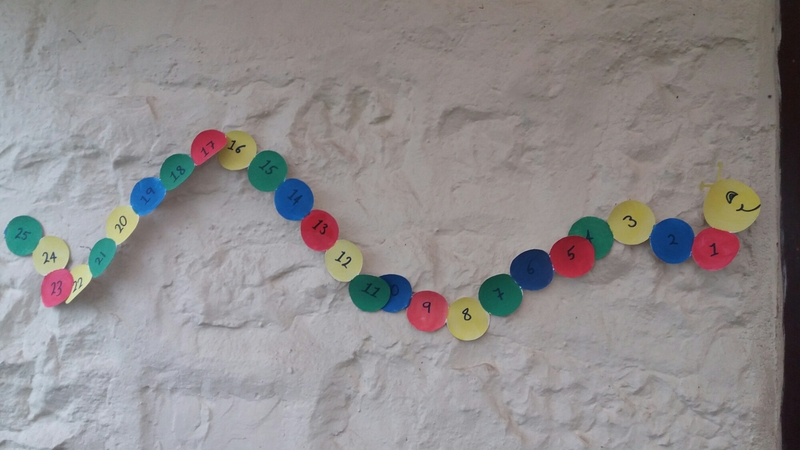 When I was little we used to make Sally Worms to count the days down to an exciting event. You tear a segment off each day. This is my Sally Worm, or shall we call it a book worm, that is helping me count the days until Elin’s Air becomes avaliable for purchase. 25 days to go. Although having said that, it will be available slightly earlier from Waterstones, where you can pre-order a copy.